Another training shoe will come out this February and it is expected to create buzz like the other cross-trainer shoe like the Trunner, which enjoyed tremendous success last year. 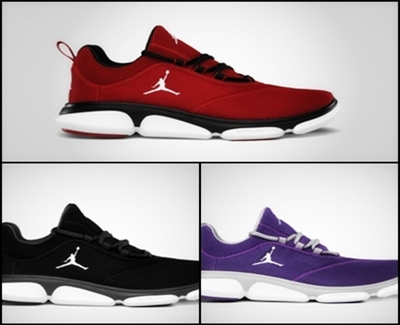 The Jordan RCVR will debut this month in Black/White-Anthracite, Club Purple/White-Wolf Grey and Varsity Red/White Black colorway, which looks simple in style but said to boast tremendous quality based on performance and comfort. The term RCVR has not been defined as of now, but some says it means “recover” for it is an after-workout sneaker and “receiver”, which is said to be related to Jordan Brand athletes Andre Johnson and Michael Crabtree, who are both NFL wide receivers. This will hit the market anytime this month at a very affordable price of $85 so you will definitely get your money’s worth!